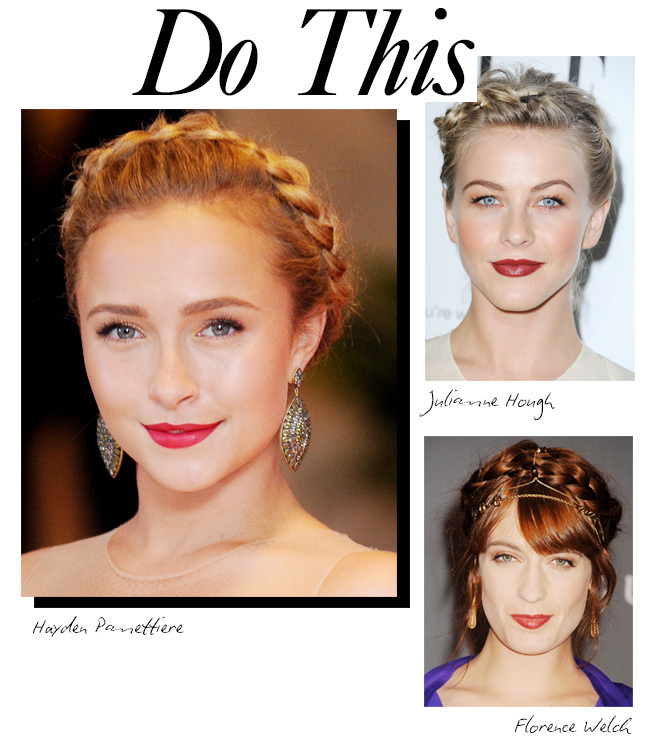 The Heidi, or milkmaid braid, is one of the hardest updos to pull off. Go too far and you can end up looking like a Coachella wannabe or even worse, like a ten-year-old on the school playground. But Hayden Panettiere arrived at the White House Correspondents’ Dinner this weekend with a braided updo that struck the perfect balance ­ — structured, yet still playful. Here’s what she (and some of our other favorite braid wearers) did right, as well as what the worst offenders did wrong. 1. DO leave space between the hairline and braid. Make sure to leave at least an inch between the hairline and the braid, like Hayden did. A braid that sits farther back on the head makes for a softer and more formal updo worthy of a White House appearance. 2. DO frame the face. Florence Welch shows how to go a little messier and still get it right. Her bangs and loose side strands make her look more casual and flattering, while her gold accessory adds a sophisticated touch. 3. DO braid halfway around the head. Instead of starting behind one ear and braiding all the way to the other, Julianne Hough started her braid two inches above the ear, making the look less severe and more messy-chic. Plus, a bold red lip adds instant polish. 4. DON’T get too sloppy. There’s a difference between messy-chic and, well, messy. Jennifer Morrison’s version is a bit too thrown together. 5. DON’T create a halo. 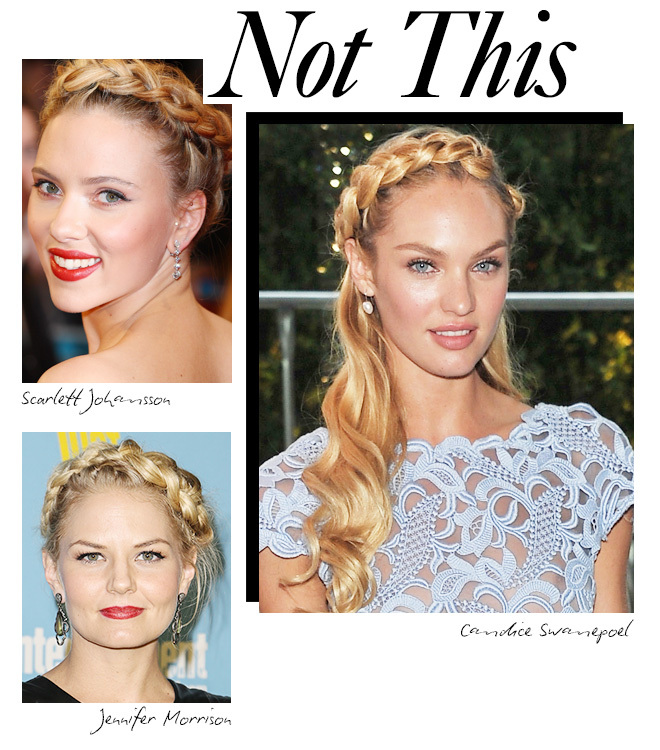 When you braid all the way around the head, like both Scarlett Johansson and model Candice Swanepoel did, your updo can come off too costume-y, making you look like, well, a milkmaid.